As mother to 7 hungry growing children, finding foods that everyone likes has always been a challenge. 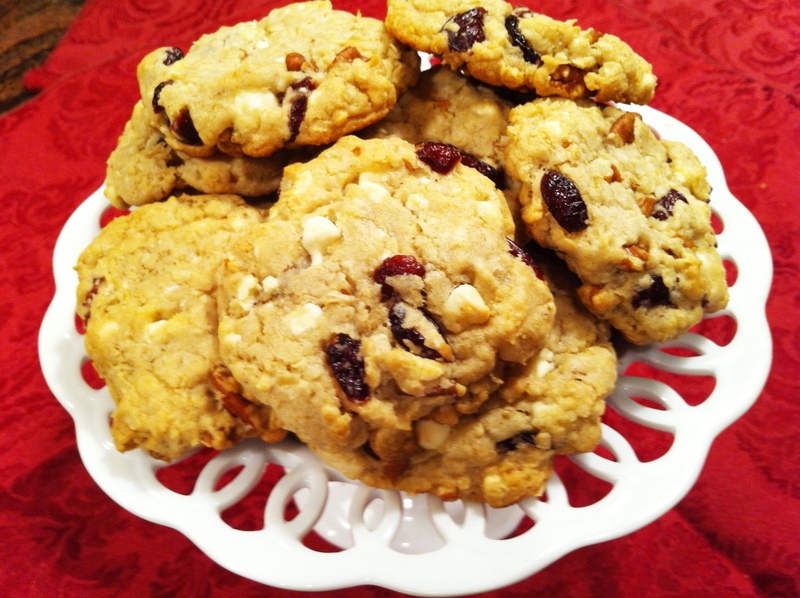 When it comes to cookies, each person has an opinion…one hates coconut, another nuts, another cranberries and yet another oatmeal. One thing is certain…everyone agrees that anything with chocolate is completely acceptable! Just to stir things up (no pun intended here), I decided to use all of these ingredients in one cookie! Yes, that’s right and guess what? Amazingly enough, every member of my family loves these cookies, despite the various ingredients! We’ve been through tough times and our share of struggles. Blending our lives wasn’t easy but it has been worth every step that we’ve taken together. Each person in our family agrees that we are better now than we would have been without each other. I guess you could say that these cookies are like our family…Better Together! Preheat oven to 350 degrees. Measure dry ingredients and set aside. Cream butter, sugar and brown sugar until smooth. Mix in vanilla and eggs until combined. Add dry ingredients in two parts, scraping down sides of the bowl after each addition. Add the rolled oats and coconut. Stir in the cranberries, white chocolate chips and chopped pecans. For perfectly round cookies, use a medium sized ice-cream scoop to place dough on cookie sheet; then flatten with a cup or glass. Bake for 11-13 minutes. Yield: 3-4 dozen cookies. sounds yummy, going to make them. Love you!!! These are quite good, but not quite perfect:) They semi-sweet chocolate chips to complete the recipe. I mean, white chocolate? What’s the point? I love these cookies!!! They are so amazing!!!!! I may have already pointed this out but these are the best cookies I have ever tasted!